Plan ahead: It is important that the school is aware that your child has diabetes. You should meet with the school staff before school starts and come up with a plan on how you will handle things like the services the school will provide and checking your child’s blood sugar levels. Have the Needed Diabetic Supplies. Make sure your child has everything he needs to care for his diabetes. 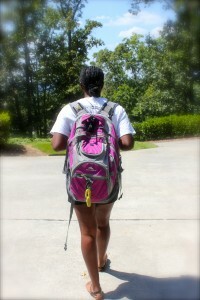 You can create care packages together so your child can carry everything to school easily. Also, in case of an emergency, make sure the school staff has an emergency kit and knows how to use everything in it. Make sure your child can manage her/his diabetes. It is important that your child has the confidence to track his or her blood sugar. Make sure your child knows when to test and who to ask for help if needed. Help your child make healthy eating choices: Eating healthy is very important especially if you have diabetes. Prepare healthy meals at home to encourage healthy meal choices at school. If you are packing your child’s lunch, make sure to include low-fat foods, fruits, nuts or seeds. If your child will eat from the cafeteria ask for the nutritional facts, so healthy choices can be made. For more information on preparing for back-to-school, take a look at this helpful checklist from the American Diabetes Association. 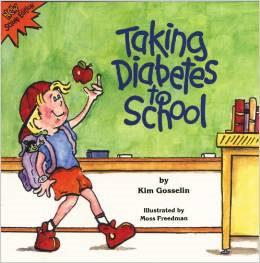 Also, if you have a young child, consider checking out the illustrated children’s book Taking Diabetes to School by Kim Gosselin, available at the Hoover Library. 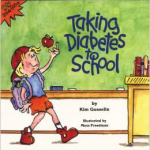 Managing Diabetes at School. Centers for Disease Control and Prevention. Accessed: 06/03/14.